Description: Orange. The text: XV OLYMPIA HELSINKI 1952. Date: 19 VII 1952. Section: B 16. Rivi [row] 26 Paikka [seat] 33. Picture: football players. 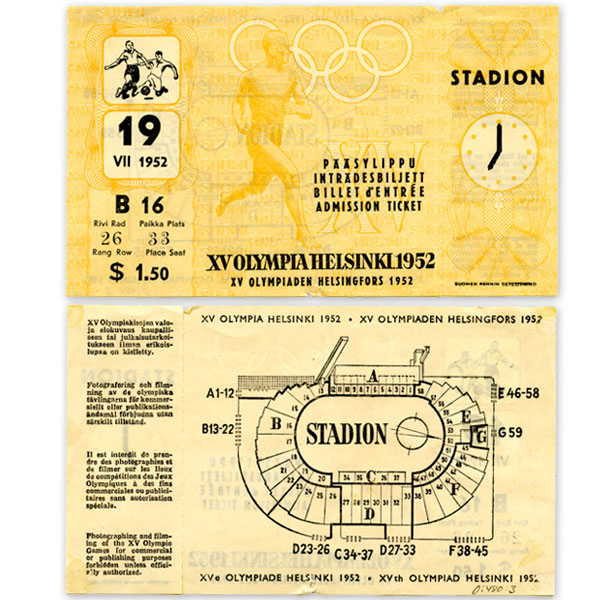 Other information: Ticket for the football match between Finland and Austria in the Olympic Stadium on 19 July 1952, the evening of the opening day of the Games. The match was won by Austria, 4-3.